First Tweed from Glendale Sheep! Grown and woven on the Isle of Skye. 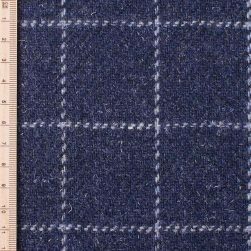 We recently wove our first tweed using wool from the Glendale Estate’s Cheviot sheep. 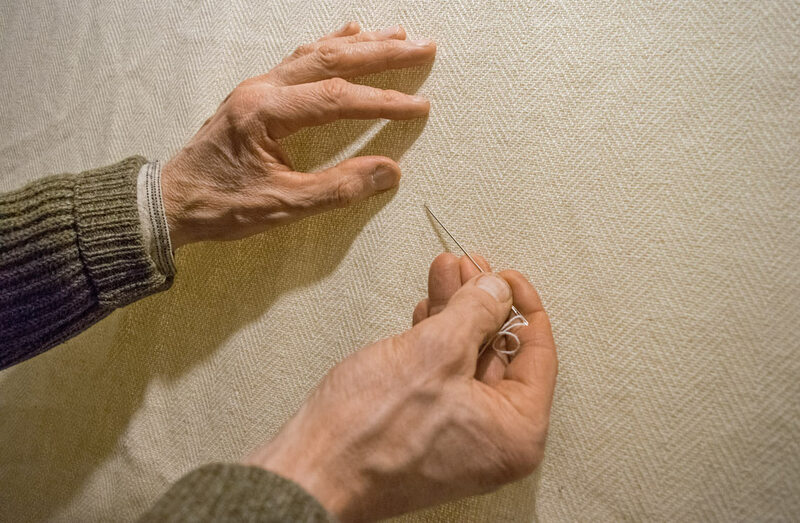 Last year we bought the hogg wool (the first clip), which we sent off for scouring, carding and spinning. 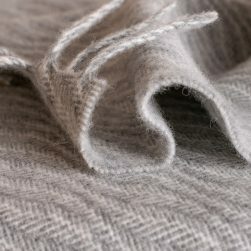 We were really pleased with the yarn and have just finished weaving our first roll of natural white herringbone tweed. We also sent some of the yarn to Shilasdair Yarns in Waternish, who dyed it naturally with various dye plants. 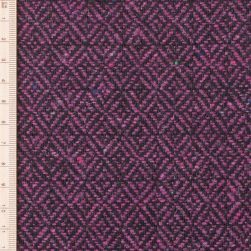 We are currently in the process of finalising the design for a range of throws, and more tweed using these colours. Everything will be available this autumn. The Glendale Estate was bought by the community at the beginning of the 20th century. Today the estate farm stocks sheep and cattle. We would like to take the opportunity to thank the estate committee and D.A. and Norman, who are looking after the sheep, for helping to get the first Glendale wool processed. We are already looking forward to working with them again this year! Many people are surprised about the fact that the wool of the many sheep on Skye is normally not used on the island. In the past wool was washed, carded, spun and woven for home use and small scale trade at many crofts. With the industrialisation and economic change this is no longer a viable business opportunity. 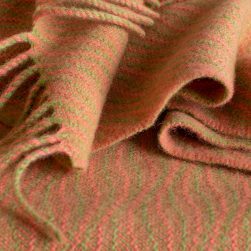 Wool is now processed by large scouring plants and spinning mills on the mainland or overseas. The mills buy wool in big batches from the Wool Marketing Board. 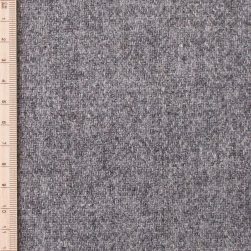 Most of the wool in the UK (and on Skye) is bought by the Wool Marketing Board, who is selling it on behalf of the farmers at international auctions. Skye wool gets mixed up with wool from elsewhere. This is why we are so happy to be working with 100% Skye wool now. 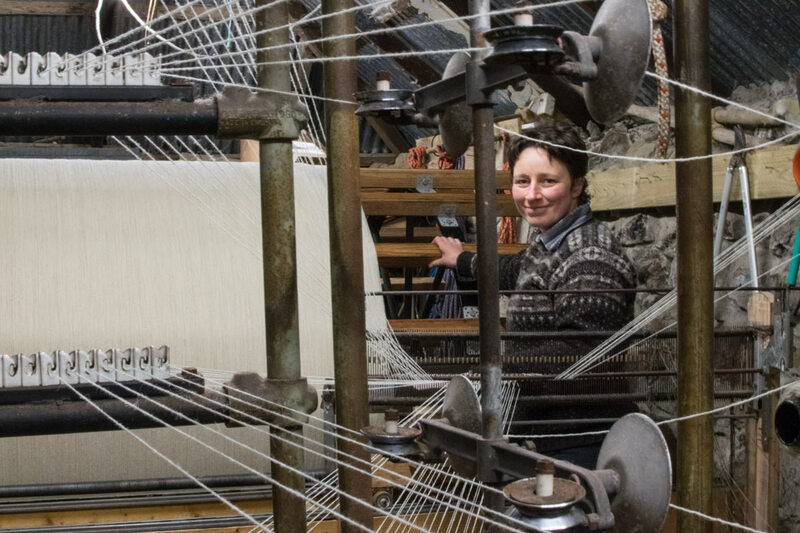 Before we moved to Skye, we lived and worked at Ardalanish, a remarkable farm and weaving mill on the Isle of Mull. 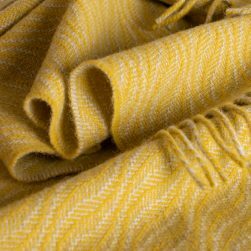 The Ardalanish Mill was one of the pioneers in getting wool from their own sheep spun and we were truly inspired by the process of turning a home grown sheeps’ fleeces into a finished products. After we set up our own business on Skye, we wanted to continue in that ethos and have now managed to use our first batch of local wool. 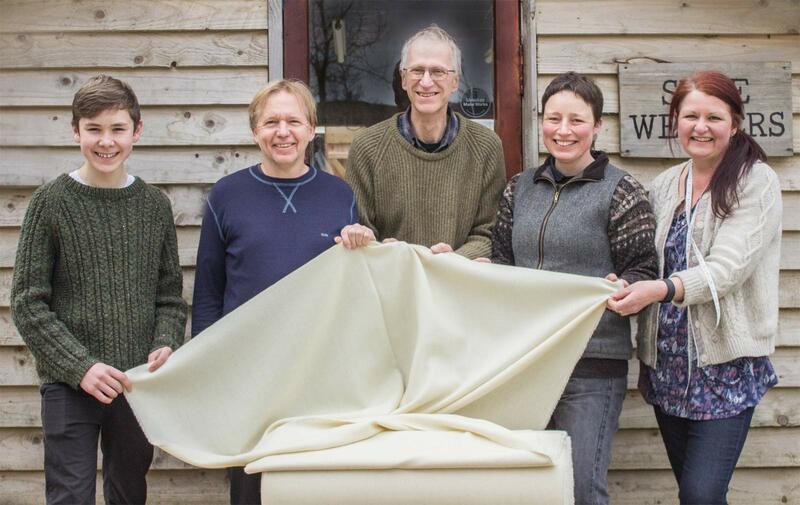 Skye Weavers team: excited to be working with locally sourced wool. It is great to see other businesses popping up everywhere, who are using local resources. A very inspiring business on Skye, who is using home grown brown wool for their beautiful knitting, is Island at the Edge in Edinbane. 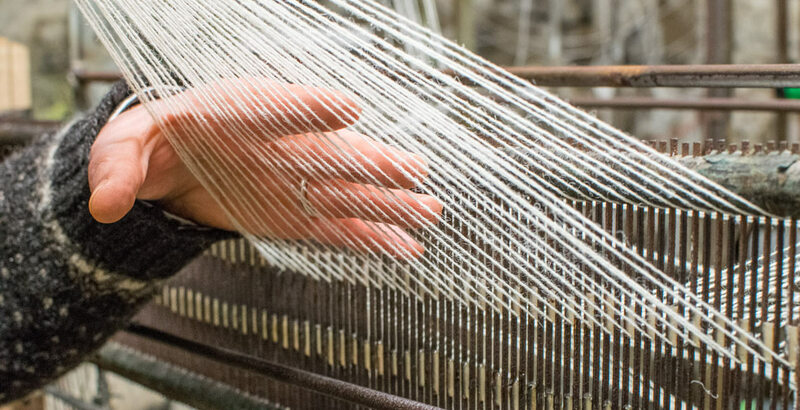 And there are quite a few more textile places on Skye, so come and weave your way around the island to discover it all!